Rosin is probably the cheapest Violin accessory you can buy but surprisingly necessary. The hair of the bow is rubbed over the rosin to make it sticky so that when you draw it over the string it makes it vibrate. The best bow in the world will barely make a sound without its coating of Rosin. Our range is expanding - if you don't see what you want please contact us and we'll try and find some for you. Postage - Since the Post Office raised their prices, the postage costs nearly as much as the Rosin. If you buy more than one rosin of the same type then you pay the same postage as for a single rosin. If you buy multiple rosins then the postage adds up but we will refund you for the excessive postage charge as we process the order. In most cases you can buy several rosins for one lot of postage (£3.30) at the moment. A block of good quality Hidersine amber rosin in a cardboard box. Very suitable for early violinists. Good all round medium Rosin from the best English manufacturer. A light amber rosin that goes onto the bow easily and lasts well. 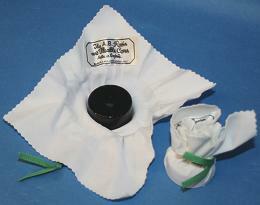 Comes wrapped in a small piece of cloth so you can rosin your bow without getting sticky fingers. A nice Dark rosin in a cloth wrap, It doesn't come much simpler than this. Good general purpose rosin, much favoured by folk musicians, especially if you play outside in the cold. A fine big block (30 grams) of dark rosin mounted on a luxurious cloth, housed in a substantial cardboard box. This is a good sticky rosin, especially suitable for winter use or playing outdoors. Exceptional value for money. 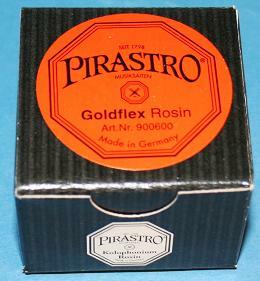 Black Rosin made by Pirastro. 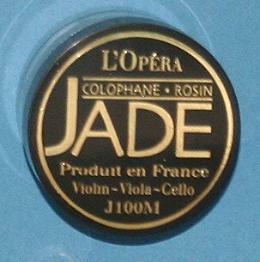 Described as a Dark Hard rosin suitable for steel strings. We find it works well on all strings and it tends to be a little softer than the Pirastro Gold. 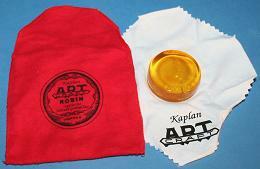 If You're a Goth it's a "Has to have :-)"
Kaplan Art Craft Rosin Light - still made from the original recipe handed down from Ladislav Kaplan. Packaged on a soft cloth and stored in a Red flannel pouch. A good general purpose Rosin this Light version is a bit harder than the dark version and more suitable for warmer weather. A nice French made rosin. Seems to be half way between the harder and softer rosins. A lovely Jade green colour and seems to produce a smoother bow stroke and tone. Produces a good grip with very low dust and seems to last for ages so you don't need to rosin your bow so often. 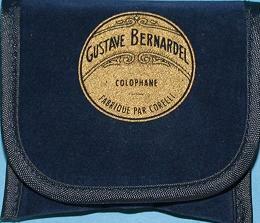 A very upmarket rosin, comes in a beautifully made dark Blue pouch and wrapped in an imitation Chamois skin cloth. The rosin is a medium gold colour and produces good grip with minimum dust. It also seems to last a long time. We supply a cake with the Gliga Gama violin outfit that we sell. The manufacturer describes it as perfectly homogeneous, it does not stick neither does it powder. The attack of the string is very clear and precise. The sound is easy to produce and control. 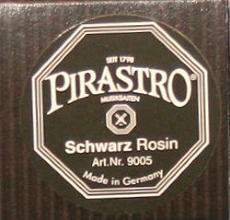 Another fine rosin from Pirastro. 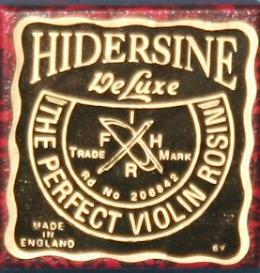 Described by Pirastro as a harder rosin. Originally designed for Pirastro Gold Strings but seems quite suitable other strings. Probably better for the summer months, especially if you play outside in the hot sun. A lovely Gold colour almost like Amber. Grips well and produces very little dust. Does playing the violin make you sneeze or make your nose run ? Then you need Clarity Rosin. 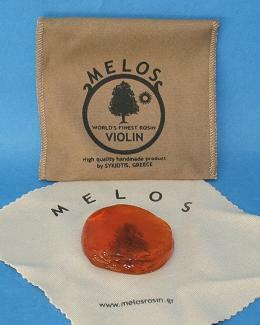 It's a hypo-allergenic rosin made from synthetic hydrocarbon resin. 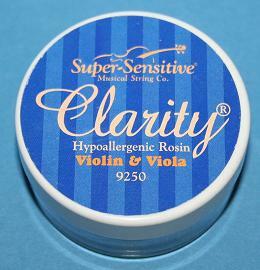 This substantially improves the properties of the rosin giving a clear string response and low dust. Is not corrosive to instrument varnish and won't irritate your nose. 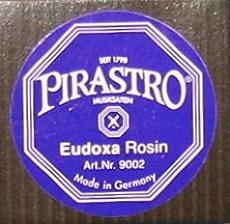 Eudoxa Rosin Made by Pirastro. Prmarily intended for use on Pirastro Eudoxa Strings. 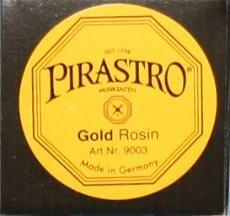 A little darker than the Pirastro Gold rosin and probably more suitable for Gut cored or synthetic cored strings. Has good grip over a wide range of temperature and produces very little dust. Expensive but nice. 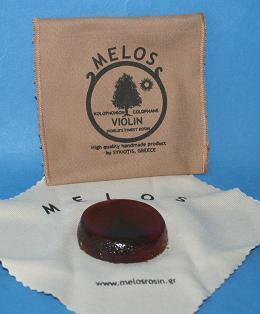 A High Quality Rosin, handmade in Greece. Melos Rosins contain no chemicals and are specifically designed for different times of the year. Light for Spring and Summer. All this and a wonderful aroma too. Check out the Melos Website for more information. Rated 10/10 by one of our more discerning customers, who reported that it gripped very well with minimal dust and residue left on the strings.